Looking for a Joe Mauer highlight clip turned into quite the project as there were so many and I couldn’t stop watching. He really is a great player, and his commercials are hilarious. Well played Mauer. What do the Twins have for assets that will be in demand at the deadline and how much value do they hold? The first name I’ll bring up is Justin Morneau. Morneau will be a Free Agent at the end of the season, and with the Twins not going anywhere, maybe Morneau could go help a contender who is in search of a bat. He might not hit .300 with 30 HRs and 100 RBI anymore, but he is currently hitting .284/.338/.401 with 4 HRs and 48 RBI, so the only thing that has drastically fallen seems to be his ability to hit the longball. Morneau has had some injury problems that could be a concern, but the commitment is for half a season, so that shouldn’t be a problem. In my mind he could fetch a pretty nice package of prospects to a team in need of such a player. He won’t get you an Alex Meyer like Denard Span did, but he still has good value. The next guy you probably have to look at is Josh Willingham. He is on the 2nd year of a 3 year deal which makes him a little more than just a rental. For what he is, I don’t think his contract is too bad to take on either. A team who traded for him would have to take on about $11 Million for 1.5 years of his services. 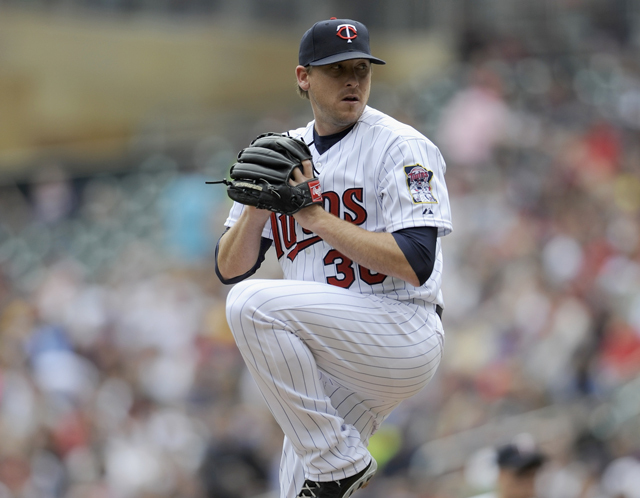 The Twins are probably not real contenders next season, so Willingham won’t be around to help them win much. My thought is, why not trade him for someone who will be in Minnesota for something meaningful? I feel like a lot of people are down on Willingham’s value, but he hit 35 HRs and had 110 RBI in the Twins lineup in 2012. He can hit. Another position player that could have some value on the trade market is Ryan Doumit. He is a backup Catcher, who can also play 1B and Corner OF. He is hitting .239/.304/.400 with 8 HRs and 37 RBI. So not only can he Catch, but he is versatile and a decent hitter. He doesn’t have the value of Morneau or Willingham, but he could net a decent prospect. He also is under contract through 2014 which might help his value a little bit. I’m not sure he’s a guy the Twins want to deal since he has a solid role for the Twins, but it’s a thought. You could talk about more position players with the potential to be dealt, but guys like Mauer, Plouffe, or even Dozier could still be a part of the solution and the Twins have no incentive to really deal them unless the offer is too good to turn down. Talking about Pitching the Twins could move is pretty similar to their hitting. Unlikely they move someone who will bring in another organizations top prospect, but there are some guys with value. Justin Morneau has been a great player for the Twins over the years just as Joe Mauer has. Both former MVPs have meant a lot to the organization, but if there was ever a time to mutually part, it would be now. Morneau could go play for a contender, and the Twins could get more prospects to aid in the rebuilding process. Kevin Correia isn’t a playoff starter to teams in need of one of those, but he could be a solid back-end starter for a team in search of help there. His 4.08 ERA is his best since 2009, and that is while playing in the American League for the 1st time in his career. 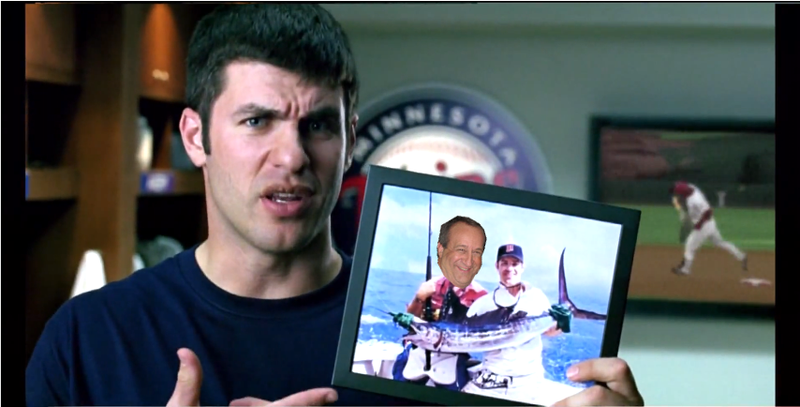 He is signed through 2014 and his value is probably somewhere between Willingham and Doumit’s. I think he has a good chance of being dealt, possibly the best on the team. Mike Pelfrey is currently on the DL with a back strain, and coming of Tommy John Surgery as well, but someone could take a flyer on him for a lower leveled prospect. He is on a 1 year deal, and not pitching very well this year, but he has a track record that says when healthy he could give you what Correia can. His value is definitely less due to the injuries though. The Twins could probably move Jared Burton pretty easily despite his less than stellar numbers out of the bullpen this season. He is currently sporting a 1-6 record, a 4.29 ERA, and a 2 for 7 in Save Opportunities in 37 Appearances this season. That makes him look a lot worse than he is though. Pitchers win-loss record is an overrated stat, possibly even more so for relievers. Blown Saves don’t necessarily represent the stereotypical blowing a lead in the 9th to give your team a loss either. Burton is far from the 3-2 record, 2.18 ERA, and 5 for 9 in Save Opps that he had in 2012, but he is a veteran reliever with late inning experience. Maybe other teams would move him to a middle relief role rather than a late inning one, but he is another chip for the Twins to considering moving. Josh Roenicke is another bullpen arm that could be of value to contenders. I actually really like Roenicke and think he is undervalued. His ERAs out of the pen in the last 3 seasons have been 3.78, 3.25, and 3.34 respectively. The first and second years were in Colorado which is very impressive, and the latter so far with the Twins. He may be traded, or the Twins may try to make him a part of their future plans. I expect teams to show interest, but not necessarily for him to be moved, although there’s always a chance. The last player I want to fit into this article is Glen Perkins. I think it is very unlikely he is traded, maybe something around 10%, but a team may be willing to pay the king’s ransom that it should take on a player with the recent track record of Perkins. In 2011 Perkins, had a 2.48 ERA in 65 Appearances. In 2012 he had a 2.56 ERA in 70 Appearances and also got a chance to close converting 16 of 20 Save Opps. This season has been his best yet with an ERA of 2.05 in 31 Appearances and 20 of 22 in Save Opps. The Twins have him locked up through 2015 (with a team option for 2016) which means he could be kept around to see the turnaround in Minnesota. It also means there is no rush to trade him since they could probably trade him this offseason or next trade deadline for a similar package to if they traded him now as long as he continues to perform. I don’t see the market for closers being overly high this year compared to other years, so I think the Twins would be best off to hold Perkins at least for now. Then again a team that seems in desperate need of a closer like the Tigers or Red Sox may make them an offer they can’t refuse. I would not let Perkins go cheap. He has proven over a consistent 3 years that he can close games effectively, and he has a very reasonable contract that the Twins were smart to lock him up in. In my mind, I would probably want 2 top 10 prospects of another club, plus another mid-level prospect. When all is said and done I think it is possible that the Twins don’t make a single trade before the deadline. More likely they will probably move 1-4 of the players I’ve talked about. 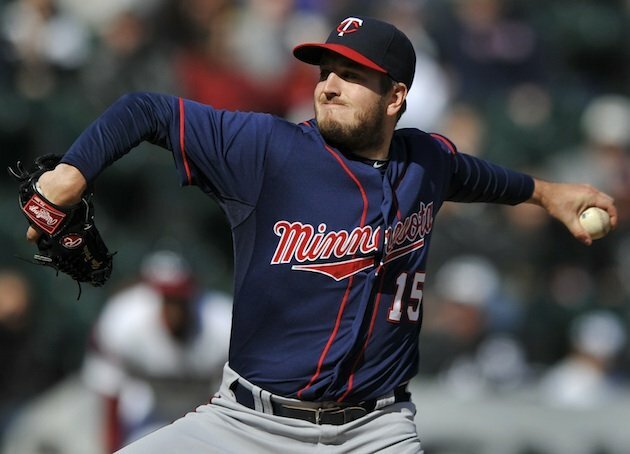 The Twins have something good in Glen Perkins. He has been great ever since he was put in the closers role. With hearing what the Phillies might get for Papelbon I can only assume Perkins is worth more due to his recent play and contract situation. I wonder if he is in line for an All-Star Appearance? The Twins may not contend for a few years – so why keep a huy that might lose value now. Closers are easier to find than the prospects the man might net the franchise in return. A big thank-you goes out to our baseball writer Ryan Dana for preparing today’s featured article. 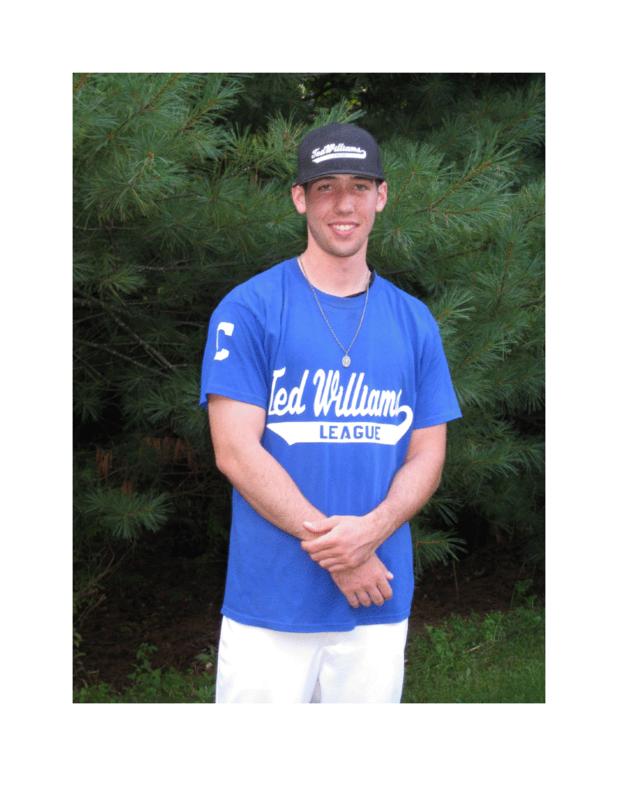 Ryan is senior studying physical education with a concentration in coaching at Bridgewater State University. He has been playing baseball since he was 7 and coaching since he was 14. Ryan wants to be a college baseball coach once he graduates. Posted on July 3, 2013, in MLB Teams: Articles and Analysis, The Rest: Everything Baseball and tagged alex meyer, Brian Dozier, byron buxton, denard span, Eddie Rosario, glen perkins, Jared Burton, joe mauer, josh roenicke, josh willingham, justin morneau, kevin correia, kyle gibson, miguel sano, mike pelfrey, Minnesota, oswaldo arcia, ryan doumit, target field, trade candidates, trade deadline, trevor plouffe, twins. Bookmark the permalink. Leave a comment.